Rap is the music of the underdog. Despite its â€˜corner office, VIP sectionâ€™ status these days and before it was considered a multi-billion dollar cash cow, it was the voice of the inner-city as, to quote Chuck D, â€˜The Black CNN.â€™ And Jason Phillips b.k.a. Jadakiss knows better than most what it is to be considered the underdog. Having taken on Diddyâ€™s corporate muscle with the â€˜Let The LOX Goâ€™ campaign in the ’90s and having gone toe to toe with the likes of Beanie Sigel and 50 Cent on wax, â€˜Kiss has sometimes been unfairly portrayed as David going up against the Goliaths. We are, after all, talking about a man whose monotone flow and deadpan wit made a fan of the late Christopher â€œNotorious B.I.G.â€ Wallace. Despite what Nielsen Soundscan may have to say about the matter, Jadakissâ€™ track record speaks for itself. Having collaborated with everyone from Jay-Z to J-Lo, he is living proof that being extraordinarily skilled at what you do and a standout amongst your peers does not always lead to platinum sales. Format: Letâ€™s start with some recent history. Youâ€™ve gone on record saying that youâ€™re very happy with the first week’s hundred thousand copies sold of The Last Kiss. A lot of people believe that the record industry was in a slump even before the recession. What sort of numbers were you expecting to do? Jadakiss: I wasnâ€™t even sure. Between this album and my last album, the game took a dramatic change. So I didnâ€™t even know; I was up in the air. Format: How do you feel about the way the album was marketed on Roc-A-Fella/Def Jam was different from the way it would have been pushed by Bad Boy or Ruff Ryders? Jadakiss: It was basically me. I had all the responsibilty. I was on my own. Format: As you were saying, the game has changed a lot since your last album hit the shelves, with the internet becoming an important aspect of marketing and how an artist can promote themselves and reach out to fans. Was that jump easy for you to make or were you cautious about it initially? Jadakiss: I didnâ€™t have to be convinced into doing it, because it was either do that or die. The whole internet game is really fun if you can get abreast and in tune and keep up with the Joneses. You know, learn how to upload stuff and reach out to the people and do live tracks and streams. Itâ€™s really a beautiful thingâ€”the masses of people that you can reach. Once I caught up and got my web sites going and my cameras and my laptops going so I could upload stuff, it turned out good. Love it. That probably helped me sell whatever I sold the first week. Format: Yourself, Styles P, and Sheek Louch have been regulars on the mixtape circuit for years now. Out of all the mixtapes that have been released including your material, do you have a personal favorite? Format: What was it about that one that stood out for you? Jadakiss: Because I had enough time. Kiss Of Death was totally finished and I just took like a month or two to make that and it came out like an album. That actually hurt my album sales, for the last one. I would have done better than what I originally did, but that was just a learning experience. I gave too much on â€œThe Champ Is Here.â€ Itâ€™s really like an album. Format: A lot of heads have been waiting for you to drop a song about your personal recollections of Biggie. Was “The Letter To B.I.G.” track something you planned on holding back until now with the Notorious film coming out or did you just feel it was the right time to write it? Jadakiss: It just came. Itâ€™s just how I was feeling on this album. â€œThe letter to B.I.G.â€â€”I was missing him. Iâ€™m always missing him, but I just felt like I should send him a letter on this album. Format: Since youâ€™ve squashed your beef with 50 Cent, there have been rumors that youâ€™re going to collaborate on a song. Any news on how thatâ€™s going? Jadakiss: No, itâ€™s nothing pre-meditated. If something happens it could happen as long as itâ€™s beneficial for both parties. Itâ€™s all good; heâ€™s working on his album. Format: If you could collaborate with any Def Jam artist, past or present, who you havenâ€™t worked with already, who would you choose and why? Jadakiss: Hmm. Def Jam got a lot of artists. I dunno, man. Iâ€™ve worked with most of my favorite artists on Def Jam, so I dunno about the new artists. Format: Iâ€™m talking any artist, past or present. So it could be one of the guys from the old school cats, someone from the mid to late â€˜90s. Jadakiss: I would like to work with Rick Rubin. Just for his ear for music and the way heâ€™s able toâ€¦ I mean, he produced the majority of 99 Problems for Jay and I love his sound. Format: Youâ€™ve called yourself â€˜The Mayor of Niketownâ€™ in the past. What are your top three sneakers at the moment? Jadakiss: The Air Yeezys, The Hurache Air Force 1s, andâ€¦ the Air Max 95s. Format: Which teams are you following in the NBA Playoffs right now? Jadakiss: Iâ€™m following everything, but you know, Carmelo Anthonyâ€™s my brother, weâ€™re trying to get him out of this second round and get him into the Western Conference Finals, but weâ€™ve just got to cross our hands and pray to The Lord and see what we can do against Kobe. Right now, I think heâ€™s the most focused; heâ€™s got his eyes on the championship. Format: How do you rate Lebronâ€™s performance so far? 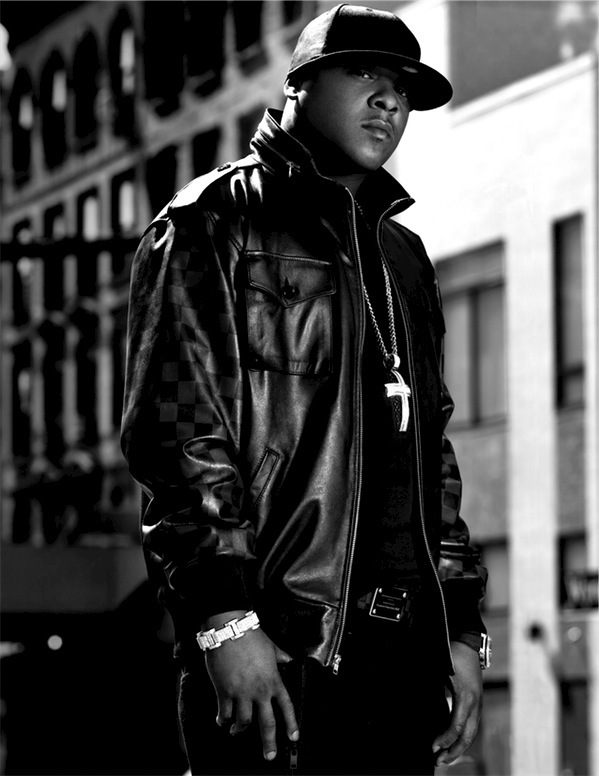 Jadakiss: Oh, immaculate. The MVP is well deserved. He’s got his team. Thatâ€™s what makes a great player; the way heâ€™s able to make the guys around him better. Theyâ€™re having fun with it. Sweeping these teams. Thatâ€™s two sweeps in a row for them. Thatâ€™s like Mike. Heâ€™s following in the footsteps of Jordan right now. Format: Youâ€™ve got the D-Block album, No Security, coming out soon. What can listeners expect from that? Jadakiss: A lot of the new artists weâ€™re introducing to the world, as well as a couple of new LOX songs with me, Styles, and Sheek. Weâ€™re just getting back into good music and making some good music for the listeners. Format: And how about the plans for the new LOX album? Jadakiss: Yeah, weâ€™re trying to get it out around Christmas time. Format: Have you started recording it yet? Jadakiss: Yeah, weâ€™re about six or seven songs deep. 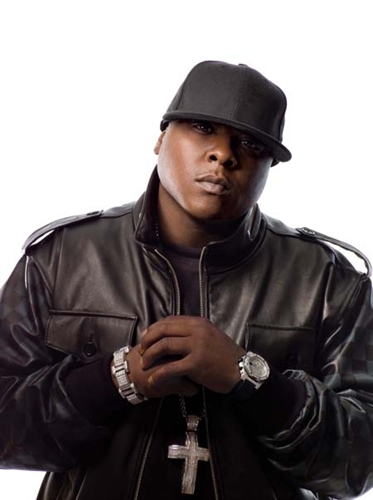 Jadakiss: The hottest in the hood right now. Ah-haa.